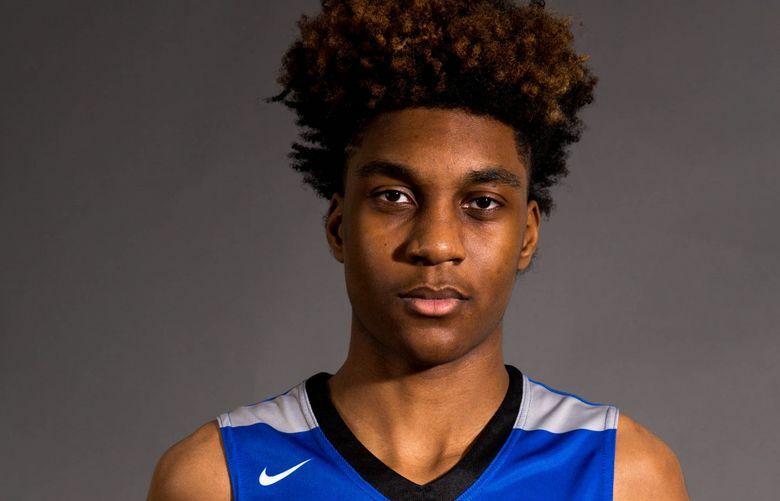 Federal Way’s Jaden McDaniels earned MVP honors as Washington beat Oregon 120-102 in the boys game at the Northwest Shootout all-star basketball doubleheader Saturday in Hillsboro, Ore.
McDaniels had 25 points and 10 rebounds for Washington, which snapped a run by Oregon that saw it win five of the last six games in the annual contest, which is in its 25th year. Mount Spokane’s Aspyn Adams had 23 points to earn MVP honors in the girls game as Washington beat Oregon 94-82. Adams, who has signed with Loyola Marymount, was 6 of 11 on three-pointers. The Washington girls have beaten Oregon 10 times in the past 12 years.